The Chinese animal zodiac sign of the Pig is friendly and sensitive. Pigs (chinese sign: 亥) are fond of companionship and they are the best party people at all... Good mood and bright atmosphere during the feast with generous ambiance are their specialties. The well-being of its guests has priority - partiality based on the preference of eating and drinking…and having some fun! Sensuality is one of its significance characteristics. The Pig has noble attitudes. It shares its goods and likes it splendorous. On the one hand the Pig is generous and on the other hand, this means it is expecting generosity as well… It might be taken into consideration that the Pig appears uninvited and is standing at the door…sometimes it is shown the tendency not to ask for things. It might occur during a dialogue or conversation. It is not easy for it to save secrets – it behaves exceedingly loquacious and gives away facts and details which should have been published. Mostly it is honest and talks freely. The Pig is the perfect listener. The Pig is rather credulous and trusting – means it believes in man’s inherent goodness. Intrigues are not its game. It is not a question of style that these characteristics provide brazen abuse. The Pig is naïve and fails when it must be decided to proclaim a "no" if required. But for all that it is not the stupid one and may come to know what is going to happen - it would become furious when someone crosses its path. Quarrel and public conflicts are not in their sense – they would do everything to avoid it and find a popular solution for all participants. Peace and goodwill are the utmost importance. It suffers from an unharmonious situation. The Pig enjoys life and sometimes it likes to prefer being a lazy-bone, but throughout it is able and willing to achieve many objectives of life. It would have no fears to be the casual worker taking part in a worthwhile pursuit. It develops a great amount of energy and intends to impart the secrets of its knowledge. The Pig is supportive to one another. The Pig supplements the lust for life to stockpot of labor. The Earth Pig is conventional and is guided by reasonable decisions. It acts quite clever and it retains its inner calmness. It is a reliable one. It is passionate, ambitious and fiercely competitive: The Fire Pig represents confidence and impatientness– bursting with strength. Innovative projects, renewals and improvements in general are set on the list. Defying all odds they are regrettably haunted by pure egoism and their predominating behaviour won’t be welcome. On professional level the Fire Pig dominates the upper floors of the managers and members of the executive boards. Caused by the element of fire this type of Pig is less frugal towards its personal interests and profit. The Fire Pig is full confidence and trust – it could expect many things in life towards career. But, on the other hand the element of fire makes the Pig passionate and ambitious – much more than its Pig-companions. These kinds of persons prefer feeling the ground beneath their feet – close to their adequate element wood. The Wood Pig endeavours a maximum certitude in life. They collect material and non-material goods by maintaining of ethic and attitude to morality. The Chinese zodiac animal sign of the Wood Pig is open-minded towards development and improvement. It brings up projects and ideas with persuasion and assertiveness towards lucrative sustainability. The Wood Pig is certainly fond of helping one another, but it is more profit-oriented. The element of wood may support the Pig, which has a slight laziness, to get finally succeed. This type of Pig knows conscientiously what to do, when support is needed. The present talent for communication and compassion might be reinforced many times over by the element of water. The animal zodiac sign of the Pig offers perfect prerequisites for diplomatic service and ventures. The Pig is popular with its companions: pacific and pleasure-oriented. 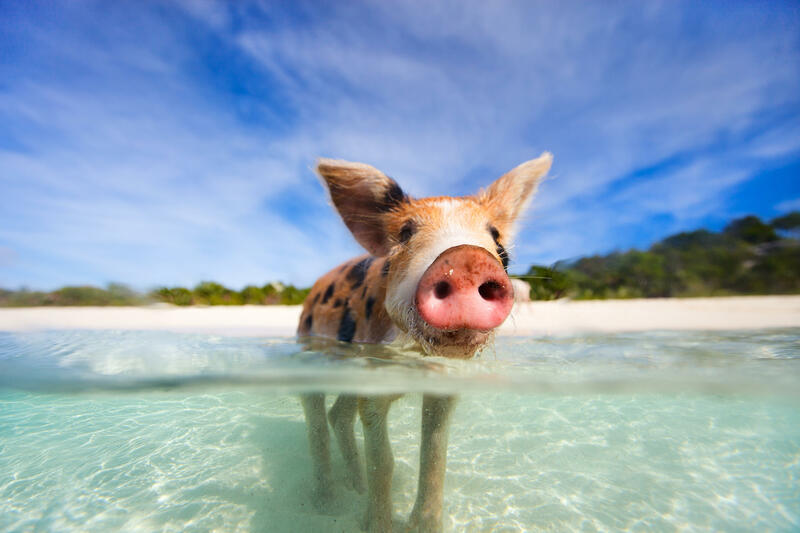 The element of water reinforces regrettably the Pig’s naivety – thus it may be disappointed or exploited in comparison with the other types of Pig.